Stepping into its 10th year since establishment, the internationally-acclaimed full service airline, Hong Kong Airlines (the “Company”) continues its rapid growth with fleet and network expansion to meet increasing travel demand. 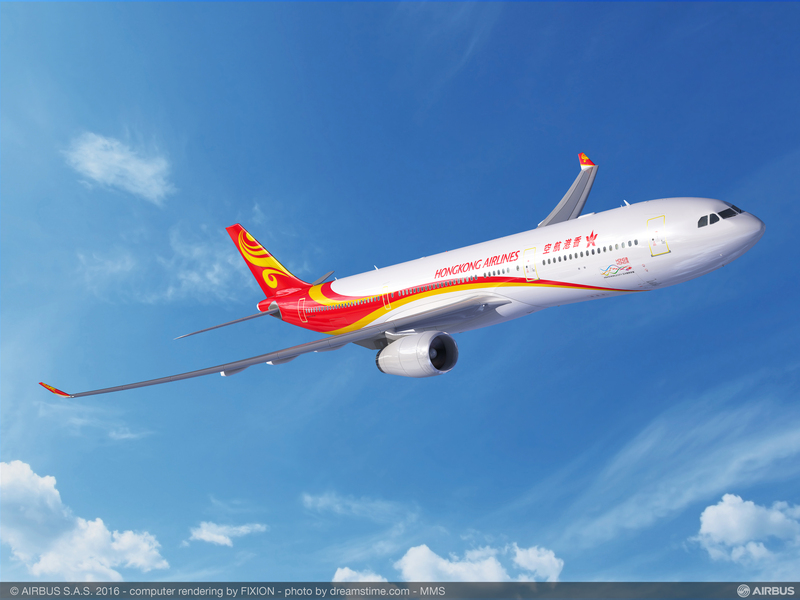 This year, Hong Kong Airlines has taken delivery of five Airbus aircraft and reaches a fleet size of 32 aircraft. The latest addition, an Airbus A330-300 wide-body, has a seating capacity of 285 passengers and 695 cubic feet of cargo. It is configured with 30 Business Class seats and 255 Economy Class seats. The Company’s 32nd aircraft is now in operation and is mainly employed on routes to Okinawa, Osaka, Tokyo, Bangkok and Denpasar. Hong Kong Airlines operates one of the youngest fleets in the world with a current average age of around 3.9 years. The modern fleet is equipped with efficient engines which can reduce noise and improve fuel consumption, thus maximizing operational performance. Hong Kong Airlines currently covers 35 flight destinations across the Asia Pacific region. The airline has planned to extend 10 new destinations within the year. After launching the Gold Coast and Cairns route early this year, the Company has further introduced 6 new destinations across four countries: Tokyo, Osaka and Okayama in Japan, Phnom Penh in Cambodia, Kuching in Malaysia and Saipan of the United States. Towards the end of the year, the Company will launch two more new routes, including the direct service to Yonago, Japan commencing on 14 September, and the service to Auckland, New Zealand which will be inaugurated on 10 November. The new long-haul route highlights Hong Kong Airlines’ expansion beyond Asia and its aims to attract travellers across the Pearl River Delta region, as befits Hong Kong’s reputation as an international transportation hub. The first half of 2016 saw Hong Kong Airlines’ passenger traffic exceeding 3 million, a 12% growth compared to last year. The average loading also rose by 1.3% to 83%. To facilitate its rapid development, Hong Kong Airlines plans to recruit around 1,000 personnel covering a wide range of job functions, including cabin crew, ground staff, pilots, flight engineers and maintenance staff.